Making a transfer from the Dominion Theatre, Michael Flatley’s multi-award winning dance spectacular Lord of the Dance: Dangerous Games will run at the Playhouse Theatre from this October. The cast will be led by award-winning dancers James Keegan and Morgan Comer, who are both winners of every major title in competitive Irish Dance. Hand-picked for the production and trained by Flatley himself, they have both starred in the West End and UK touring productions of Lord of the Dance: Dangerous Games. Flatley will not be appearing in this run after retiring from UK performances. With creative compositions by Gerard Fahy, Dangerous Games will feature exciting, ground-breaking new technology, including holographs, dancing robots, world champion acrobats, lighting effects and a large troupe of the greatest Irish Dancers in the world. Choreographed and directed by Flatley, this production features forty of the world’s leading young dancers and musicians. It will feature new staging, costumes and choreography, but will keep the electrifying thrills of the original Dangerous Games. Michael Flatley is world-famous for riverdance, and is renowned for his performance abilities. Making his name in the late 1970s to early 1980s, industry professionals recognised his talent and unique charisma and he has since taken the world by storm. Lord of the Dance is hugely popular and tours across the world. 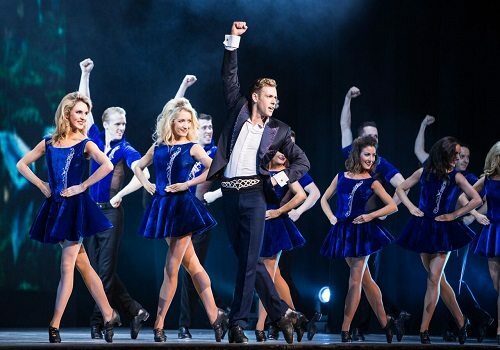 Lord of the Dance: Dangerous Games will run at the Playhouse Theatre from 10 October to 3 January 2016. Contains bright, flashing imagery but is otherwise suitable for children as it is a dance production.